Wondering about July sales activity? 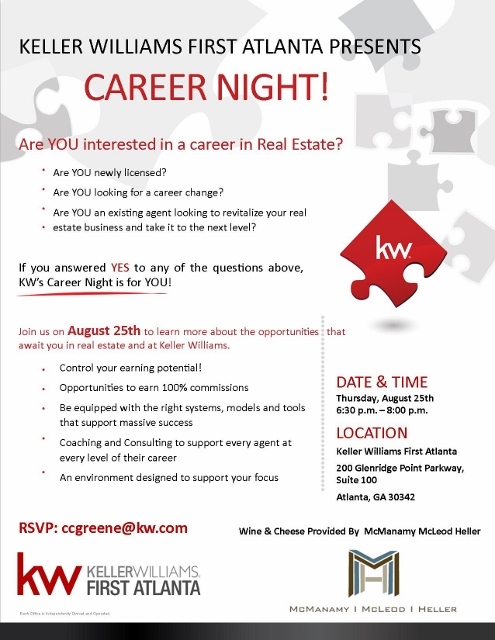 The Atlanta Market is Still HOT!!!!!!! Price: Average and median sales prices continue to gain traction and outpace 2015’s figures, with positive gains. The median sales price in July was $250,000, an increase of 6.4% from last July. The average sales price was $307,000, up 3.4% from the previous year. Supply: Atlanta area housing inventory totaled 16,509 units in July, a decrease of 1.2% from July 2015. New listings totaled 5,199, down 6.9% from July 2015 and down 11.1% from the previous month. The supply for sales over a 12 month period increased to 3.7 months. 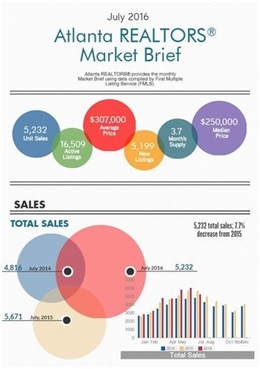 *The Monthly Total Sales number is revised every 30 days as additional transactions are entered into FMLS. On average, the additional sales entered will increase the variance by approximately 5%. Showcase condition/Loaded with Luxuries- Updated & IMPECCABLY maintained! Light, bright & open w/soaring ceilings, hardwoods on main, NEW carpet up, most of interior & exterior freshly painted & more! Sturdy hardcoat Stucco! Kitchen – Features durable beauty w/practical convenience; NEW granite, NEW faucet & undermount sink, pull out cabinet shelves, lazy susans, desk, pantry & breakfast bar! Great Room-Giant room w/soaring ceiling, hardwood floors, cozy fireplace, built in bookshelves & wet bar w/wine rack! Wall of windows & French doors to deck & backyard! Dining Room –Could accommodate 12+ , open to kitchen & great room; excellent for entertaining! Fabulous Master Suite – HUGE room w/trey ceiling, crown molding, hardwoods, his/hers walk in closets & NEW fan! Marvelous Master Bath –Double vanities, custom 12” tile floor & shower w/bench, jetted tub & NEW vanity fixtures! Generous Secondary Bedrooms –One with trey ceiling & niche. Both have NEW carpet, ceiling fans & walk-in closets! HUGE Party Deck-steps on both sides to garden & gas grill! Personal Garden Oasis- Abundance of specimen plants specifically selected to provide year round color & points of interest! Tons of stone; patio, walls & walkways! Pond & Waterfall-Soothing sounds from the waterfall will wash your troubles away! Fish ready to meet their new family! 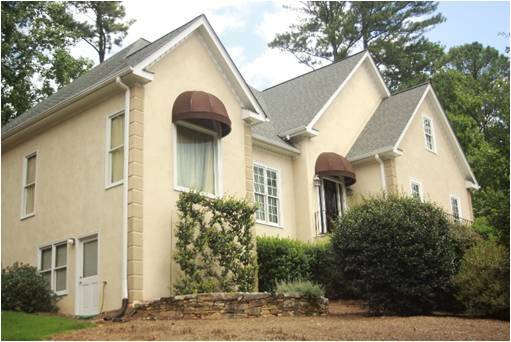 Great Location-Walk to Fullers Park & East Cobb Park, great shopping (Avenues) & restaurants, 10 min to NEW Braves park! To be among the first to view this new listing, contact me TODAY! Or stop by the OPEN HOUSE this SUNDAY 2:00-5:00.